This unique property is located facing the pristine coast of Marsaskala with breath-taking views of the sea. This seven-bedroom, brand new, contemporary villa has been designed around an ambitious project – a goal to create a luxury property set on a unique area with direct access to the beach. This villa features cutting-edge design, including a mixture of clean, crisp lines, minimalist décor, and prestigious materials, which combine to produce a natural flow between the outdoor and indoor areas of the property. The ground floor of this property has been transformed into a space fit for repose, a true relaxation haven. Large glass doors blur the lines between outside and inside, inviting those indoors to the breath-taking pool deck overlooking the sea. The pool itself beckons you to take a dip, boasting a Zen-like waterfall and awe-inducing infinity edges, making you feel like you are truly in paradise. The view from the pool and the pool deck is spectacular; the twinkling Mediterranean Sea opens up beneath you. The sun-drenched deck offers al fresco dining facilities, as well as sun loungers which enable you to fully relax with the beautiful sea as your back drop. The ground floor itself is made up of a large open plan kitchen, dining & living area. These areas combine harmoniously to provide a peaceful ambiance boasting spectacular views of the sea. The dining & living areas are in turn divided by the state of the art kitchen, which is equipped with all the necessary cutlery and crockery. The ground floor also houses four of the bedrooms, three of which having en-suite bathrooms equipped with large showers. On this floor, one will also find a main bathroom equipped with a full size bath-tub, for maximum added comfort. 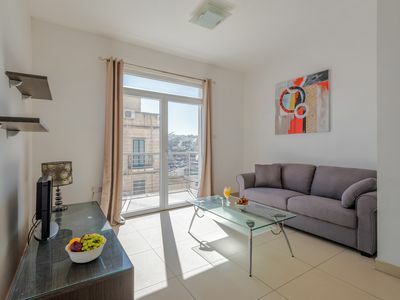 Two bedrooms face directly the sea and overlook the pool area, creating a personal oasis of serenity, where one can enjoy the fresh air of the morning, or the still, quiet air of the Maltese night. An elevator will then take you to the lower ground floor of this exclusive property where one will find another 3 bedrooms, two of which have an en-suite bathroom. Also on this floor is a bathroom equipped with a full size bath-tub, a gym, a games room with a pool table, a second living area, and a utility room where the necessary laundry can be done. But the highlight of this floor is the SPA containing a Turkish Bath & a Jacuzzi. The property is served with lift, is fully air-conditioned, and Wifi is offered throughout the property. This Villa encompasses all necessary factors to ensure a serene and restful escape for anyone residing in it. Set apart from the hustle and bustle of city life, nestled in front of the sea, this property truly feels like an oasis of calmness amidst the hectic lifestyle of today. If you are looking for a relaxing escape - complete with infinity pool, Jacuzzi, Turkish Bath and state of the art décor – then look no further. Villa Mahi-Mahi ticks off all of these qualities, and more.